If you have questions about Seattle garage doors, we are here to help! Feel free to explore these FAQs about common problems with garage doors. Don’t see your questions answered here? Call us any time! I have to hold down the button in order for the garage door to close. What’s wrong? There could be several factors contributing to this problem. First, check to see if there is anything obstructing the sensor towards the bottom of the door. If nothing is there, look at both sides of the door and the tracks toward the floor. You should see two LED lights. Is one of them blinking or not lit at all? If so, the safety sensors need to be adjusted. There is a simple fix for this: turn or tilt the sensor that is off or blinking until the light is solid. Then try the door again. If neither of these solutions work, call us and we will fix the issue! Yes, we have an emergency line where you can reach us 24 hours a day, 7 days a week. We know that broken garage doors can be a huge inconvenience. When you call us today, we will come today. What’s more, we do not charge extra for calls on evenings, weekends, or holidays. Why isn’t my remote working? Check to see if the LED light on the wall button is blinking. If it is blinking, it means either the lock button was pushed or the remote needs to be reprogrammed. To unlock, push the lock button and hold for three to five seconds and then try to use the remote again. If there is no lock button, your remote needs to be reprogrammed. If you experience intermittent success, your circuit board might be going bad. If there is no blinking light, try replacing the remote battery. How do I reprogram my remote? It depends on the opener brand. The two most popular common brands are Lift Master, Genie and Marantec. For a Lift Master, find the learn button on the back or side of the opener and push the button like you would push a door bell. Then push the remote button you want to program to the opener and you will hear a click, or if there is a light in the opener, it will flash. Your remote should be programmed now. For a Genie operator, the learn button is usually in the front of the opener and behind the light lens cover. Push the button like a door bell and the small, red LED light will start blinking. Push the button you want to program to the opener and the light should stop blinking and remain lit. Push the remote button again and the light should turn off. Try using your remote now and it should work. When do you offer service appointments? We work around the clock for your convenience. You can call us any time of the day or night for 24-hour service. We schedule appointments in 2 hour arrival windows 7 days a week. Yes, all labor and parts are backed by a limited lifetime warranty. If any of our services or parts do not live up to your expectations, please call us so we can fix the problem. Where can I purchase torsion springs? You will not be able to find torsion springs at a typical home improvement store because these parts are only sold to professionals with proper training to avoid unnecessary injuries and repairs. Contact a skilled garage door repair specialist to fix any broken springs. Call us to book a service today! Our staff members are friendly and willing to help you determine which service is right for you. We are happy to report that we have made efforts to be environmentally responsible with our products and services. We utilize a large fleet of service vehicles for service calls, and we have made sure every one is a flex-fuel-hybrid vehicle in order to reduce emissions and support a healthier environment. All of the vehicles come equipped with GPS systems and geo-targeted scheduling so we can dispatch the vehicles faster and reduce mileage. We will also haul away your old garage door and recycle the parts. Can you make my garage door so it is not so loud and noisy? Yes. We can swiftly determine the cause behind all the noise and then fix it. Your garage door may need new parts or maintenance. Our technicians can offer ultra-quiet door openers and ball bearing rollers. You will have the quietest, most peaceful-sounding garage door in the neighborhood. If the garage door stopped working after the noise you heard, then the noise could have been the sound of a spring breaking. 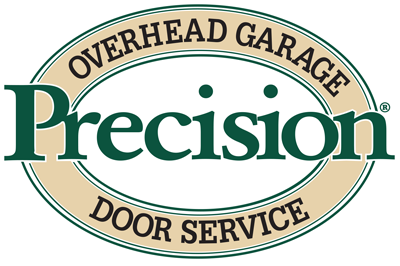 Call us for a quick appointment to inspect the garage door. If you have a broken spring, our qualified service technician can replace the spring your springs and ensure the garage door is safe and functional for future use. We always recommend replacing both springs if one has broken. A few different things could be wrong. First, verify that the door opener is connected to the electric outlet. If the opener still does not work, make sure that outlet has power by testing the opener in another outlet, using an extension cord if necessary. Finally, if both outlets have power and the opener still does not work, then the opener itself may have a mechanical or electrical malfunction. Our qualified technician can come out to you the same day to diagnose the problem and repair or replace the opener. My garage door does not close all the way. Sometimes it reverses at the bottom, or right after it starts moving. What do I do? The problem is most likely with the electric “safety eyes” that project an invisible “beam” or sensor across the door opening. The sensor detects obstacles in the way of the door and stops the garage door from closing on objects. If the “eyes” are out of alignment, the sensor will work sporadically. Our technicians can help fix this problem or determine if your garage door is not working for some other reason. Contact Precision Door of San Diego today if you have other questions not listed here. We are happy to answer your questions and schedule a quick and convenient appointment.